Today's my last day at work before the Chinese New Year holidays. Well, happy feelings all around the office, and coupled with this souvenir from my colleague, nothing can go wrong today. My colleague went holidaying at Krabi, a town on the west coast of Southern Thailand recently. From her Facebook, I saw lots of beautiful beaches. Thanks for the simple but thoughtful souvenir! It's supposed to be a fridge magnet, but I think I'll use it as a bookmark instead. I just wonder what does the number 4 symbolize? Wow, I didnt know that. Thanks for the info! Thank you for posting. I've been looking at some of the posts on this website to get an idea about travel in Krabi for my next vacation. Krabi has so many fantastic beaches which will make a lot of attention from the tourists who visit the island. 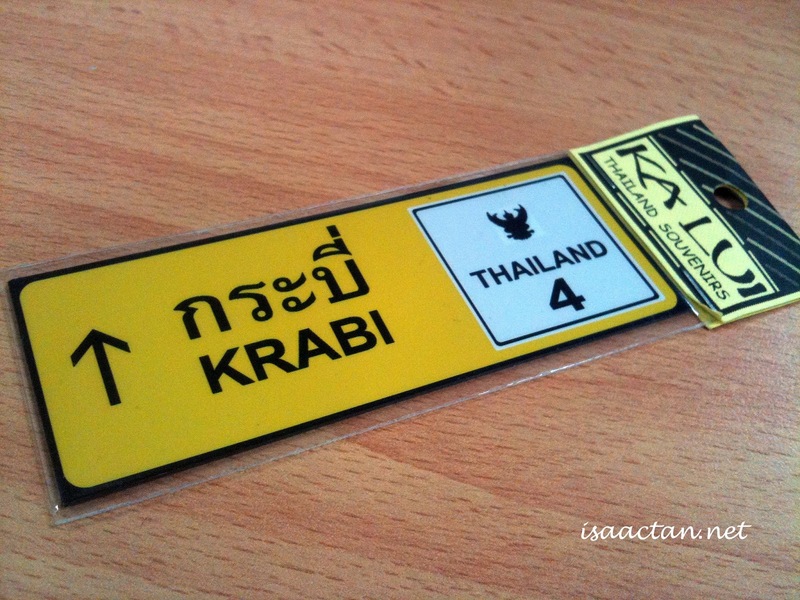 Now I'm looking at planning trip to Thailand(Krabi area). Any help and ideas welcome.